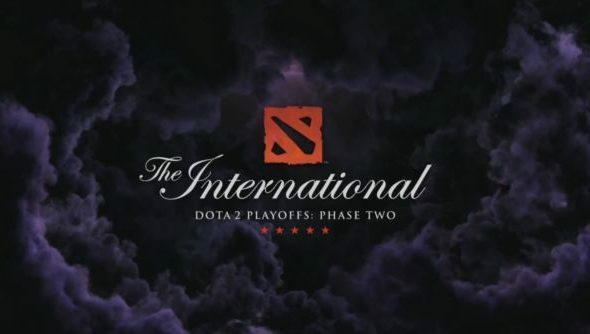 It’s been a busy week for the Dota 2 International, as all sixteen teams faced off for one of ten spots to progress into the next phase. 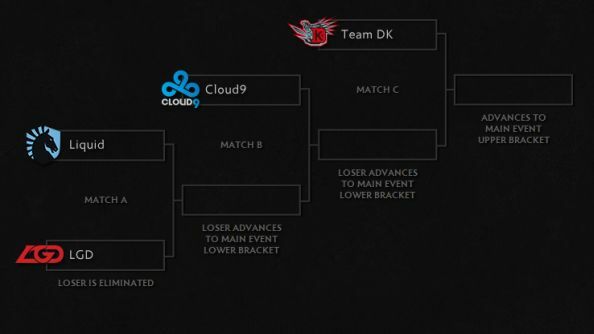 Only ten teams remain, with six being eliminated from the tournament after over 120 games of Dota 2. The results were surprising to say the least: last year’s champions, Alliance are out with a paltry 6-9 score at 12th place. Phase three of the playoffs start tomorrow, where eight teams will play to determine their seeding in either the winners or losers bracket for the main event, and two more teams will be sent home. The day started off tense. Alliance, Fnatic and Mousesports held joint 11th place, all of which in danger of being eliminated. Their fates were no longer theirs to decide either: not only did they have to win their last two matches to get into the safety of the top ten, they also relied on other top position teams on losing. Unfortunately for Alliance and Fnatic, it wasn’t meant to be. Although they both won a game each, they lost the other and the teams they were hedging on to lose, didn’t. For Mousesports however there was a glimmer of hope. They beat both Na’Vi.US and Liquid, putting them at joint 10th at the end of the day. They had a chance to get through, but they’d need to beat the two other joint 10th teams: LGD and NewBee. Their first match against LGD was a complete stomp for their enemies, and the following clash between NewBee and LGD resulted in a NewBee win. The odds seemed almost always stacked against them: the only way of staying in the tournament was beating NewBee and forcing another three match tiebreaker. Newbee beat them in just 26 minutes with a score of 21 kills to 5. The biggest surprise of the playoffs certainly goes to the performance of Alliance. Being last year’s champions, the majority of teams and fans alike expected them to easily reach the main event. However throughout the tournament their famous methodical consistency was nowhere to be found. On day one they had only won a single match, losing the other four. Day two saw them bounce back: only dropping one game and winning the other four to put them 4-5. But at the end of day three, they had stumbled back into a losing streak, putting themselves down to a 5-8 score and ultimately 11th place. For a team that came first in the ASUS ROG Dreamleague and DreamHack Bucharest this year, they had only recently proved themselves to be in pretty good shape. For this tournament however, they’ll have to settle for a paltry $37,000. To put that into perspective that’s less than 0.4% of the prize pool, which is now quickly approaching $11 million dollars. 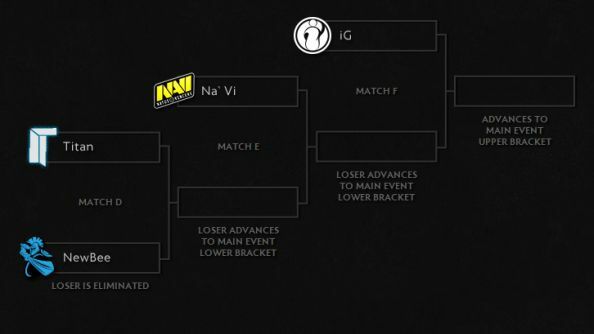 The top two teams, ViCi and EG earned their place in the winners bracket automatically in the main event. They’ll almost certainly breathe a sigh of relief as they get to sit out the next phase of the playoffs since their place is secured. Tomorrow we’ll see the the beginning of phase three, which is the first bracket pictured above. Liquid, LGD, Titan and NewBee still have to fight for their place tournament, while the others will either place themselves in the losers or winner bracket depending on their results. We can also expect a different tempo to the last few days, with matches moving from single games to best of three’s. And for a potential winners bracket position, we could maybe start to see some secret strategies that will surely change the Dota 2 meta.